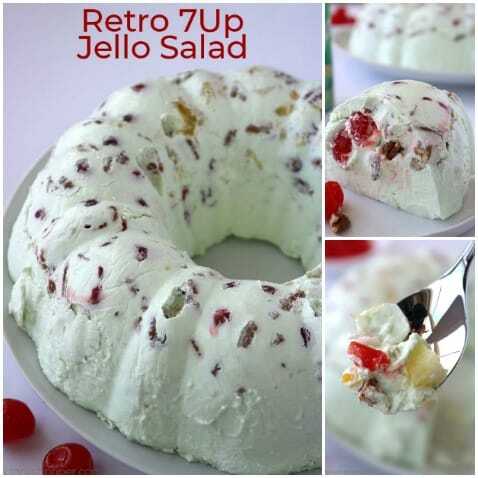 This Retro 7Up Jello Salad makes its appearance often during family potlucks and holiday dinners. 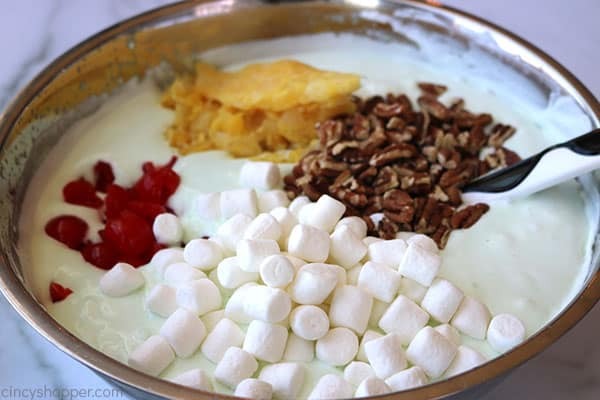 Lime Jello, 7UP soda, along with mayo, cream cheese, marshmallows, whipped topping, marshmallows, cherries, pineapple, and pecans create a unique classic creamy salad. Make it in a mold, bundt pan, or 9×13 dish. Classic recipes are always great for the holidays. 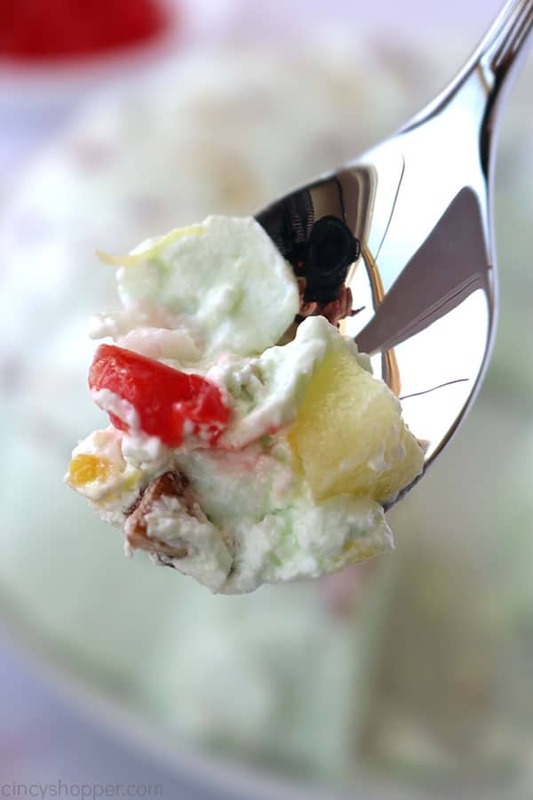 I always make my Waldorf Salad recipe along with a Watergate Salad for our family gatherings. But this Creamy Lime Jello Salad is a classic that is great for Easter, Christmas, Thanksgiving, or any family potluck because it is so old-school. Jello molds were so popular years ago and are unique. 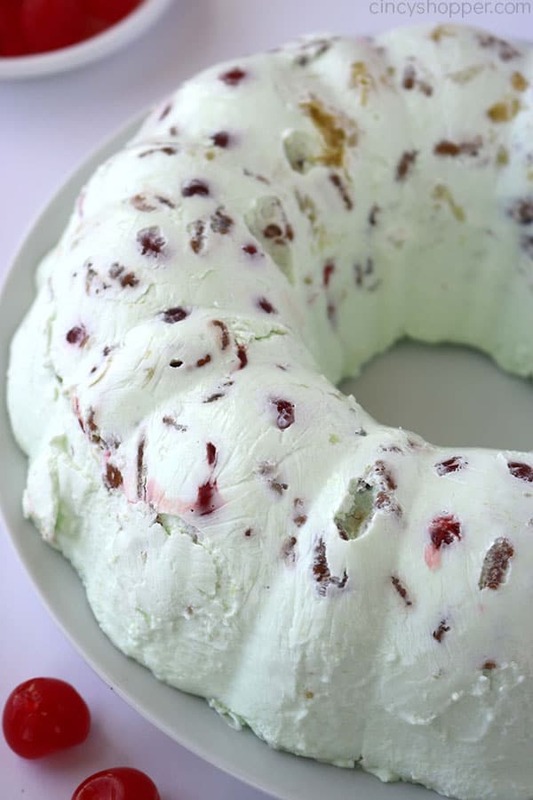 During the Christmas holiday, I was browsing the internet for Jello molds and I came across this recipe for 7Up Jello Salad. As soon as my eyes spotted this recipe, I knew it was a must try because of its uniqueness. After attempting the recipe and having two failures, I decided it was time to make it in a way that was easier and would allow for the gelatin to set correctly. The third time was a real charm. Since I made the salad with not only 7UP soda but also the lime Jello, it is quite refreshing. The cream cheese and the mayonnaise give the recipe just a hint of tang and creaminess. It is full of flavor with some sweetness from the pineapples and cherries so it is kid friendly too. I think it works for a great side dish or light dessert. 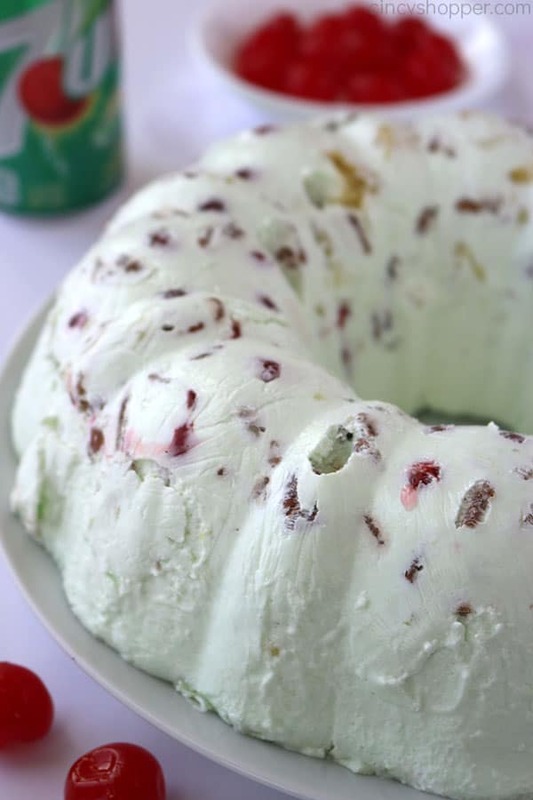 7UP Jello Salad is sure to be the star of any get-together. Trust me when I say everyone will be commenting and requests for the recipe will be in abundance. Go ahead and make it in a bundt pan for a real statement, in a 9×13 baking dish, or a Jello Mold if you happen to have one. The bundt pan worked great and my results were perfect. First, make sure you have allowed the cream cheese to soften, that step is most important. 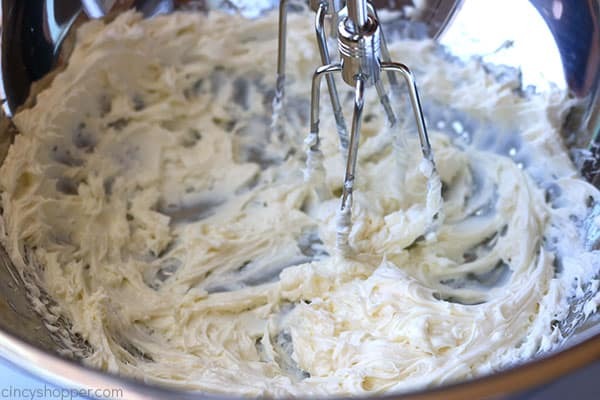 Add the cream cheese to a large bowl and beat with a hand or stand mixer until creamy. Then beat in the mayonnaise until combined. Next, add the Jello to the boiling water. Whisk completely until all of the Jello has dissolved. Add the dissolved Jello to the creamy mixture, beat until combined. Heavily beat during this step. Have your mixture as creamy as possible with no large white lumps is also important. 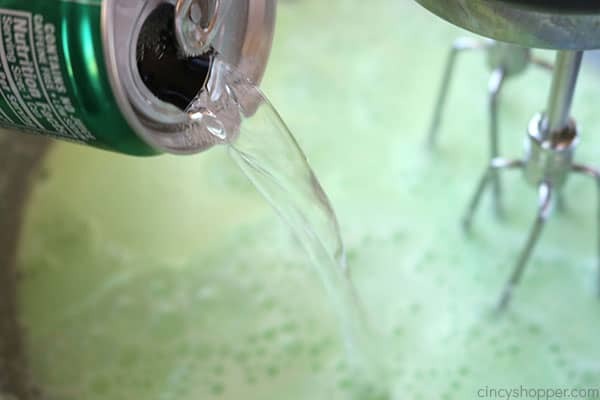 Pour in the 7UP and continue to beat until thoroughly mixed. Then place the bowl in the refrigerator for 30 minutes. Remove and give the mixture a good stir. Return to refrigerate for another 30 minutes. Stir again. Drain the cherries. Then cut in half. Let them dry on a paper towel, pat them often. 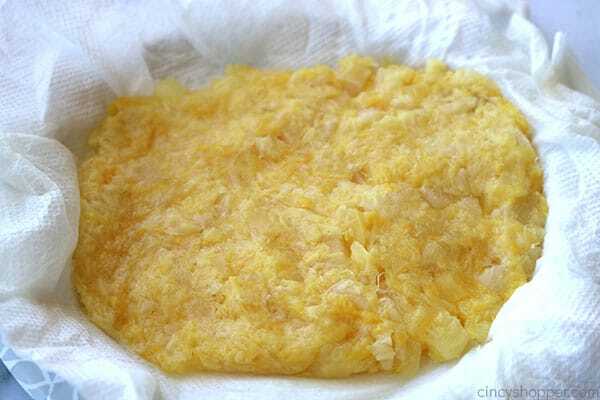 Drain the crushed pineapple well and place on a paper towel. Squeeze as much of the juice/syrup as possible. 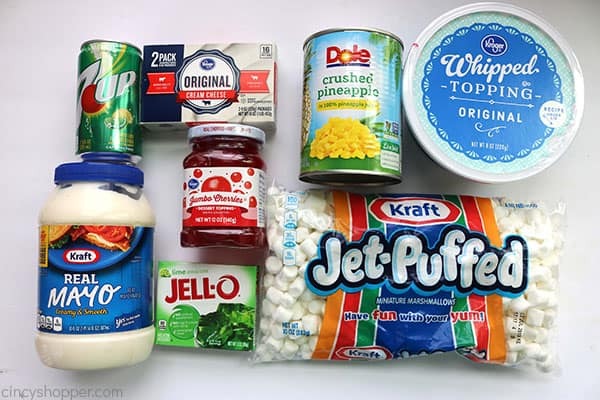 Add whipped topping to creamy Jello mixture. Mixing until all is combined well. Then we fold in the cherries, pineapple, marshmallows, and crushed pecans. Lastly, we heavily grease the bundt pan, Jello mold, or baking dish. Be sure to heavily coat. Then pour the mixture into the prepared pan. Refrigerate for at least 6 hours. When ready to release the salad from the bundt pan or mold, use a knife to release the edges and the inner ring. Add a plate to top and tip. The salad should release very easily. Give it a couple of light taps if it should not release right away. Why is there Mayonnaise in this 7UP Lime Jello Mold? The mayo will add a bit of creaminess and helps with the texture. Do not be alarmed because the salad will not have a mayonnaise flavor. Can I use Fruit Cocktail or other canned fruit for this Retro 7Up Salad? Sure you can! I have seen this recipe made with all sorts of different fruits. My first tip, if you should use canned fruit other than crushed pineapple, would be to drain and pat all of the fruit as dry as possible. If you should omit this step, your Jello Salad will not set correctly. Can I substitute other flavors of Jello? Sure! 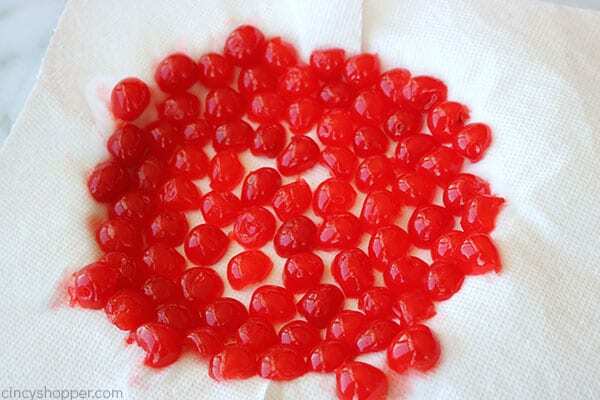 Go ahead and try a cherry, strawberry, lemon, or any other flavor of Jello that you prefer. Most any fruit will pair well with the many available flavors of Jello. 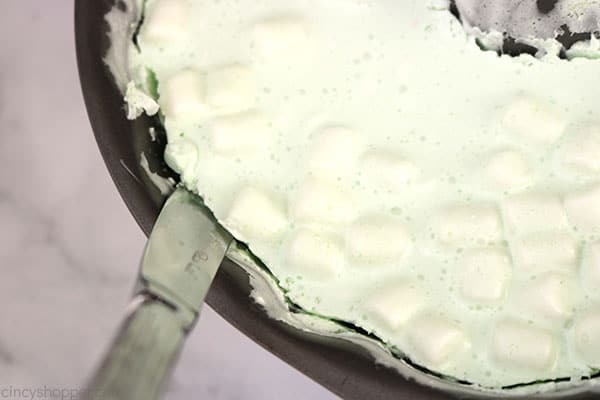 What pan will work best for Lime Jello Salad? 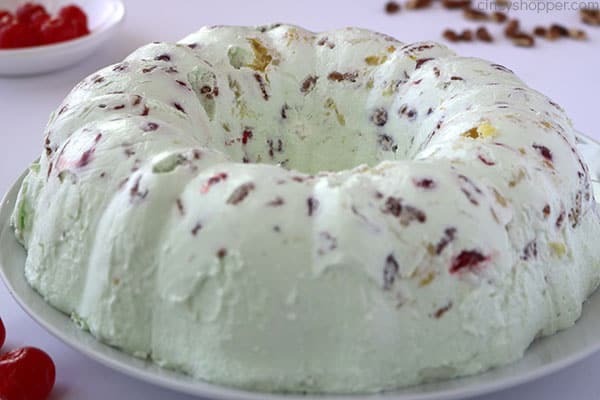 I have only tried using a basic 10-inch bundt pan for this Classic Jello Salad. Avoid using any bundt pan with any fancy detailing. I was sure to heavily grease my pan because I wanted the mold to release easily. If you do not have a bundt pan, I am sure you could use a Jello Mold or a 9X13 pan. Can I make Retro 7UP Jello Salad ahead of time? Yes, you will want to prepare your Jello mold about a day in advance because you will need to allow time for the gelatin mixtures to set correctly. The salad can last for about five days when refrigerated. Creamy Grape Salad – A classic and so easy to make! Strawberry Banana Salad – Always a crowd pleaser. Frog Eye Salad – Also an old school salad recipe. 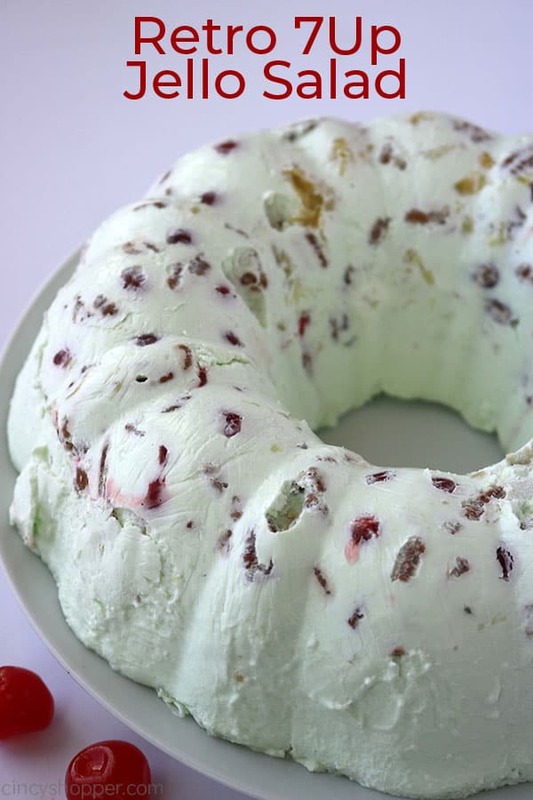 This Retro 7Up Jello Salad makes its appearance often during family potlucks and holiday dinners. 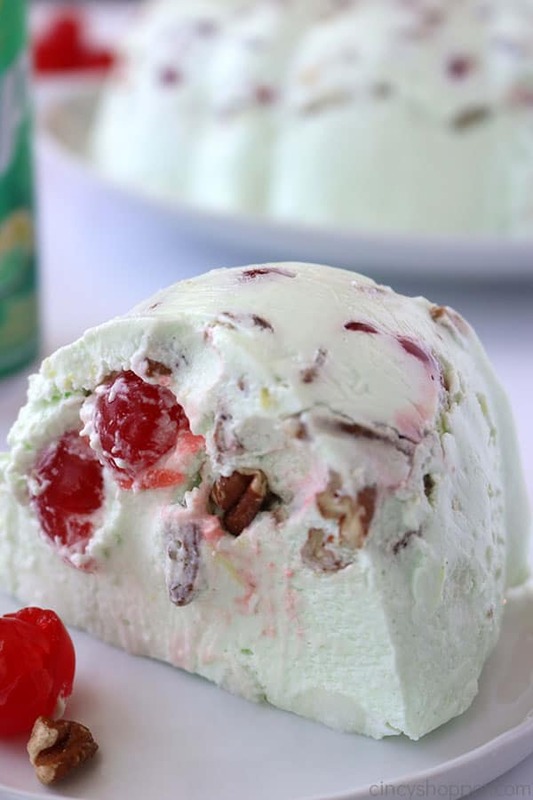 Lime Jello, 7UP soda, along with mayo, cream cheese, marshmallows, whipped topping, marshmallows, cherries, pineapple, and pecans create a unique classic creamy salad. Make it in a mold, bundt pan, or 9x13 dish. Add mayonnaise and beat until well combined. Set aside. 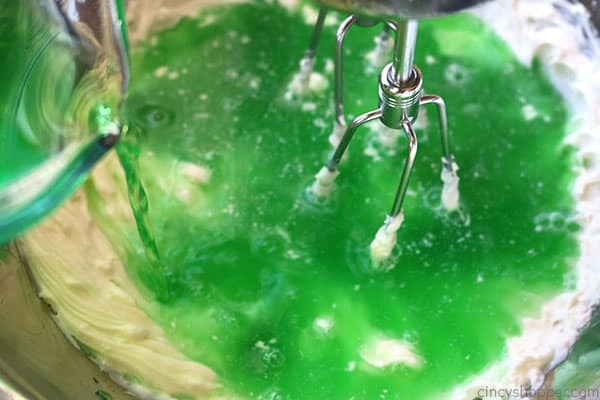 In another bowl, combine Jello and boiling water and whisk until dissolved. Allow to cool for 5-10 minutes. 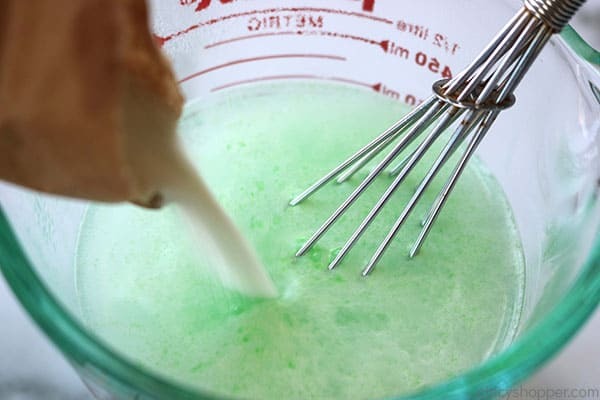 Add Jello to cream cheese mixture and beat until THOROUGHLY combined (about 3 minutes). Add 7-Up and beat for an additional 2 minutes. Stir mixture and Return to refrigerator for another 30-40 minutes. Drain cherries, slice in half anp place on paper towel to dry. Drain pineapple well. Place in paper towel squeeze out any excess moisture. 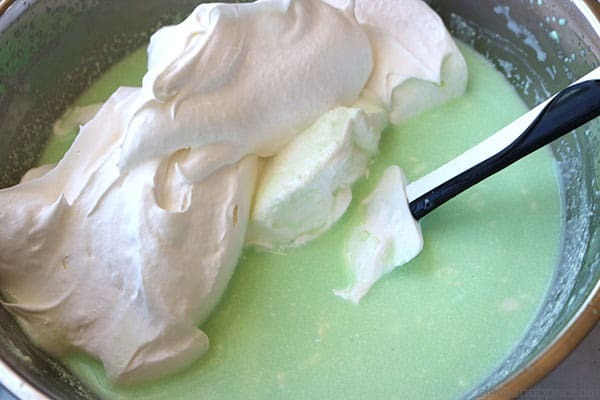 Fold Cool Whip into Jello until completely combined. Add cherries, pineapple, marshmallows and pecans. Stir until well mixed. Heavily grease bundt pan or 9x13" dish. Pour mixture into prepared dish and refrigerate for at least 6-7 hours. Use butter knife to release edges and inner ring before inverting to plate. This looks like those commercial ads. Amazin read! What do you grease the bundt pan with? Hi Shirley! I heavily greased with shortening (Crisco). It did not affect the flavor and allowed the mold to release so easily. Hope that helps. each of your recipes. Thank you. Looks yummy! My grandmother use to make this type of mold and because of this memory, I always enjoy a spoon of mayo with my jello, pineapple or fruit cocktail. My hubby always teases me when he sees me with this concoction.